Here is presenting First Look Movie Poster of much awaited Tiger Zinda Hai starring Salman Khan and Katrina Kaif. TZH is the most awaited movie of the year and is slated for release on 22nd December, 2017 on occasion of Christmas festive time. 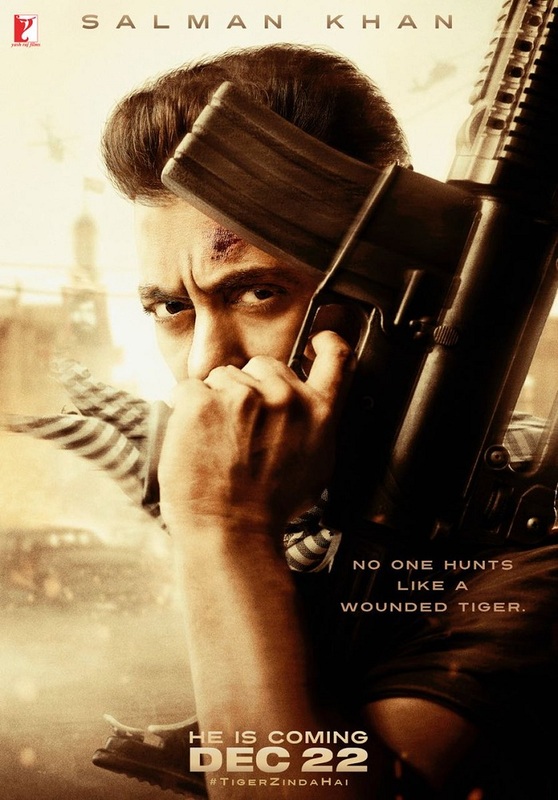 TZH is directed by Ali Abbas Zafar and produced by Aditya Chopra. TZH is sequel to Ek Tha Tiger. Film is much awaited of the year and is expected to take record breaking start at box office. ETT was a monumental HIT at box office and expectation is even bigger from the 2nd installment. Cannot wait for its Teaser.